Paleontology comes from the Greek word for ancient life. Paleontology studies the remains of living things. The Earth is dynamic and nothing remains the same for long. The Earth has been changing for 4.6 billion years. Climates change, rivers and glaciers altar course, seas rise and fall. Animals and plants flourish and then die to make room for new forms. The sediments that are laid down change. To give order to these changes, the scientists developed a scale that divides time into meaningful periods. This time scale is called geologic time. 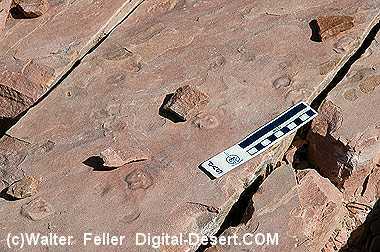 Fossils are a record of life as it has evolved through geologic time. 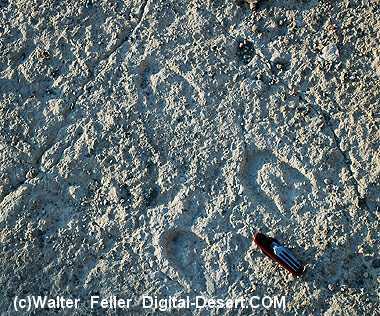 Fossils are invaluable to scientists in reconstructing prehistoric environments. These life forms have been buried in the earth, buried in the sea, and captured in rock. They have been preserved in peat, tar, ice, and amber. They may be unchanged from the originals, or they may be a mineral replacement. They range in size from dinosaur skeletons to tiny plants and animals that can only be seen under a microscope. Most fossils are formed from the hard parts of plants and animals such as shells, bones, teeth, or wood. 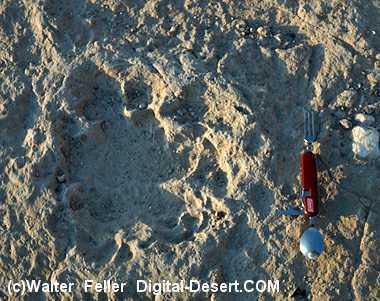 Eggs, footprints and burrows can also be fossilized. The study of fossils indicates that life originated on the earth 3 billion (3,000 million) years ago. Since that time there has been a succession of plant and animal species. Most are now extinct and only a few remain as fossils. When one considers how quickly organisms are destroyed after death it is remarkable that fossils are as common as they are. Remains that can be destroyed by scavengers, bacteria, chemical decay and erosion make the odds against preservation extremely high. 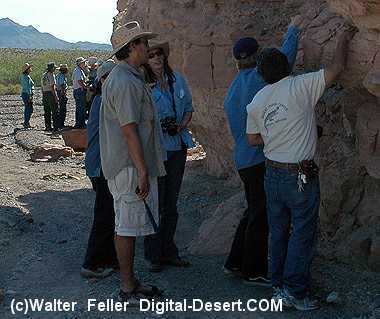 Paleontologists are scientists who seek to understand the succession of plants and animals through time. They try to determine how these creatures lived, how they grew and how they died. They try to answer questions concerning the web of life, interactions between organisms, and interactions between organisms and their environment. Around the world, researchers are studying thousands of sites, excavating fossils, and transporting them back to laboratories where they are reconstructed. The main clues for reconstruction come from comparisons with living plants and animals. The rules that govern how animals and plants cope with life are presumably the same today as they have always been. Some of the organisms that lived on earth left no descendants, but many are still represented. These “living fossils” can provide clues to the way long-dead organisms looked and functioned. The world of fossils is never static. Paleontology is continually growing and evolving. Geologic time is a measurement of the past. Without a measurement tool, objects and events could not be placed into proper relationships. The divisions of geologic time are made on the basis of life that existed at the time. A geologic column indicates the types of rock that were deposited. The rocks of Kentucky were laid down in water. Soft mud is often converted to shale. Loose sand and gravel become converted to sandstone and conglomerates. The third type of sedimentary rock is limestone, which is precipitated from seawater. 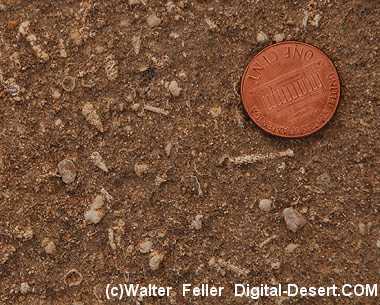 Limestone is also formed from the shells of dead sea animals. Heat, pressure, and chemical action may change these three kinds of sedimentary rocks into a variety of metamorphic rocks. The rocks of Kentucky belong to the Paleozoic Era. The periods within this era are: Ordovician, Silurian, Devonian, Mississippian, and Pennsylvanian. The Mammoth Cave region of Kentucky was primarily a result of events which occurred within the Mississippian period. By Lucy E. Edwards and John Pojeta, Jr.